But What Does the Title Star Wars: The Rise of Skywalker Mean?Some guesses about Episode IX’s mysterious name. Star Wars: Episode IX Is Introducing a Tiny Little New Droid Friend for YouMeet D-0. Topher Grace Can’t Stop Editing Star WarsHe’s got a problem! Crack Open That 401(k): Luke Skywalker’s Lightsaber Is Going Up for Auction*Wooom wooom* sound not included. The Mandalorian Gives Us a First Look at Said MandalorianThe first ever live-action Star Wars streaming series also unveiled a very exciting list of directors. Topher Grace Does Self-Care by Undoing Film FranchisesSome of us do charcoal masks, others recut The Hobbit trilogy into one simple two-hour movie. Jar Jar Binks Actor Says He Contemplated Suicide After Star Wars BacklashOn Twitter, actor Ahmed Best reflects on the impact of the hatred he received for his Phantom Menace alien. There Will Be No More Star Wars Spinoffs, for NowSee, this is what happens when you don’t go to the movies. Stephen Colbert Made Kelly Marie Tran’s ‘Hateful’ Trolls a New Star Wars TrailerSpoiler alert: Darth Maul is an intersectional feminist now. We Can’t Trust Hollywood to Fix Toxic FandomStar Wars: The Last Jedi’s Kelly Marie Tran appears to have quit Instagram over racist trolling. How do we solve this? Carrie Fisher’s Brother Said She Regretted Sharing Harrison Ford Affair StoryThe actress wrote about her tryst with Ford in The Princess Diarist. 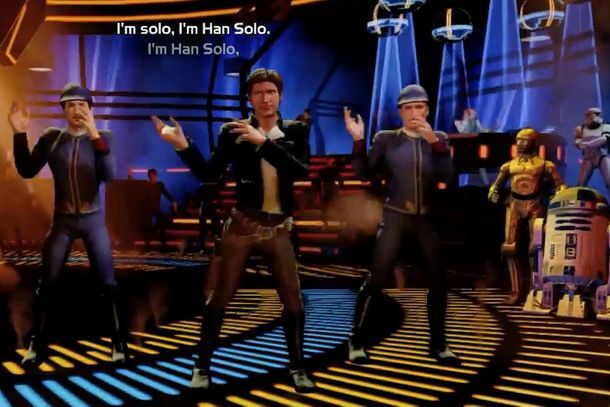 Solo’s Easter Eggs Are Actually GoodThey mostly fly under the radar, which is a virtue. Uh-Oh, Things Might Not Be Looking Great for SoloMoviegoers are choosing instead to go outside, maybe? Solo: A Star Wars Story Hits All Its Marks — Except for the Most Important OneMaybe in the next Han Solo film, he’ll become the Bogart-like cynic we met at the start of this whole saga. Solo Box-Office Estimates: So Low?Solo’s opening weekend is expected to gross around $130 to $150 million in toto. 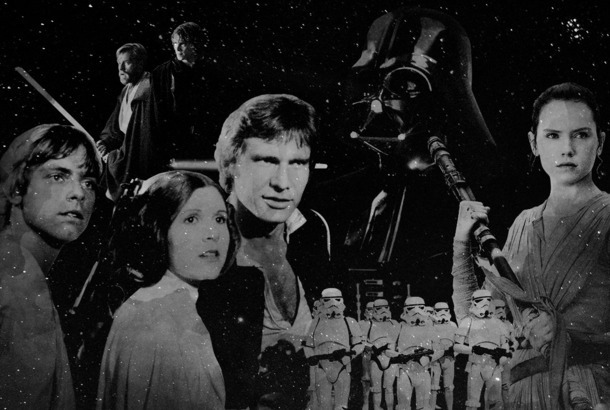 Every Star Wars Movie, RankedFrom The Phantom Menace to The Last Jedi. I Didn’t Know Both of Your Boyfriends Went to Cannes!You must be so proud. Solo Cups’ Star Wars Tie-in Is Obviously PerfectWhen a movie’s already called Solo, the co-brand opportunities are built right in.